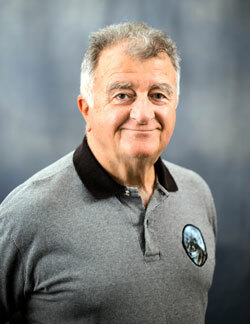 Anthony Ephremides holds the Cynthia Kim Eminent Professorship Chair of Information Technology. He holds a joint appointment with the Institute for Systems Research, of which he has been a founding member, and he is a also a member of and former Co-Director of the Maryland Hybrid Networks Center (HyNET), formerly known as the Center for Hybrid and Satellite Communication Networks (CHSCN). He received his B.S. degree in Electrical and Computer Engineering from the National Technical University of Athens, Greece, in 1967 and the M.A. and Ph.D. degrees also in Electrical Engineering from Princeton University in 1969 and 1971, respectively. He has served in many capacities in the IEEE and other organizations, from local organization posts to President of the Information Theory Society and member of the Institute Board of Directors, including Technical Program Chair and General Chair of Major Conferences. Here I will include views, facts, articles, opinions, etc. pertaining to this Society of which I have been a member since 1968. Click here to find my Historian’s column that I submitted for publication in the September issue of the Society Newsletter. Dr. Ephremides's research interests include all aspects of Communications Systems (Information Theory, Communication Theory, Multi-user Systems, Communication Networks, Satellite Systems) with focus on Energy Efficiency and Cross-Layer Approaches to Design. He is also interested in Systems Theory, Stochastic Systems, Optimization, Signal Processing, Wireless Communications, and other related, or unrelated, subjects. The project will use the new concept of Age of Information to discover the relationships between information theory and signal processing, two of the main pillars of information science. The research will focus on the use of age for wireless network control. He earned his Ph.D. at Princeton in 1971. The invention is a new apparatus, system, and technique for performing matrix spectral factorization. ECE alum recognized for scheduling and stability analysis of networks. ECE honors a professor, neurosurgeon, philanthropist, and research industry leader.